In 2012 she dreamt to be on top of Spantik 7028 meters high peak, but due to her health condition she could not make it & sent one of the climber Mr. Osamu in July 2013 he succeeded & surprised her after giving call from the top of Spantik. Last October she did tour of Broghil Valley & was invited by TCKP Touism Corportaion Khyber Pakhtoonkhwa. Saiyah Travel - Islamabad organized tour to Shimshal Valley to witness the villagers coming back to village from high pastures knows as Shimshal Pamir, A Japanese tourists group always gave name as WELCOME KUCHI, KUCHI (MOVE) happens when all villagers move together from Village to high pastures with thousands of anmials including YAK, GOATS, SHEEP etc, in the month of May and come back in mid October. 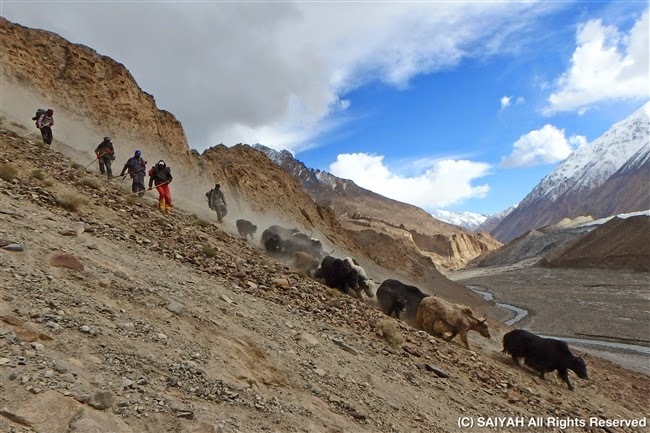 We had wonderful experience last October 2014, walking back with villagers, Yak, Sheep and goats through TANG route is unforgettable experience. What a lovely scene ! A shimshali man kiss to Yak ! We took 2 Yak for riding, both are named "Ushkop" which mean "has been castrated". Since Saiyah started "Yak Safari" in Shimshal, we have studied and developed how to ride, how to fix the equipment to the Yak. Crossing Shuzerav river between Gar-e-Sar and Purien-e-Ben. Water was crystal clear in month of October. 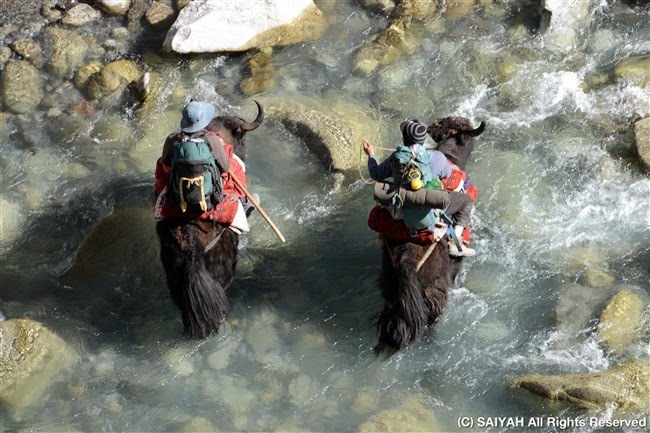 Kuch or migration of livestock start with baby Yak. 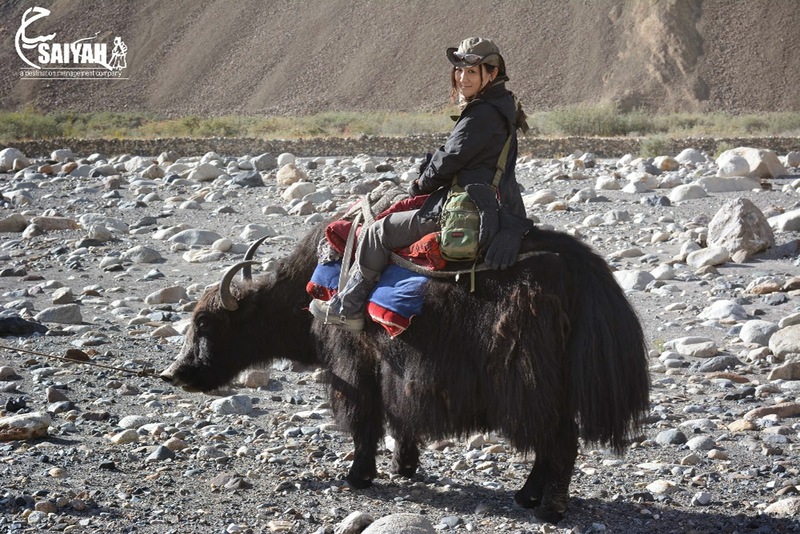 Baby yak who was born in the Pamirs in the summer time will go to village for the first time. 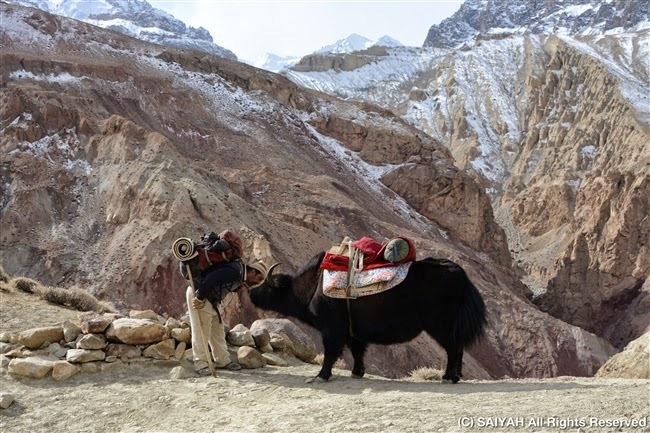 In most of the case, mother yak stay in the Pamir and only baby Yak will head to the village. We saw some baby yak who runs reverse the way because he wanted to meet his mother Yak in the Pamir. Then group of Sheep and goats follows. 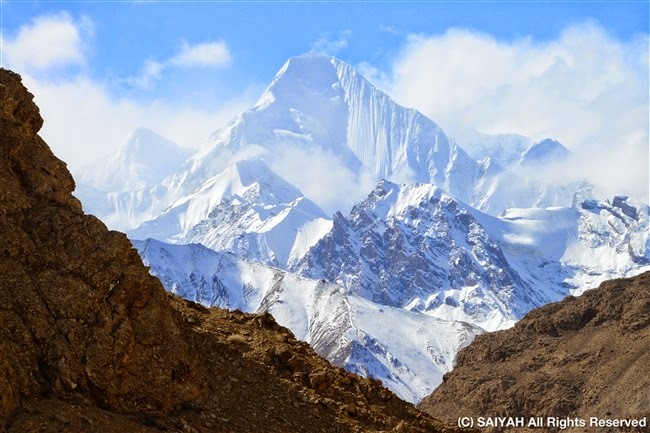 View of Shimshal's White Horn, Adver Sar(6,400m) from Tang route. 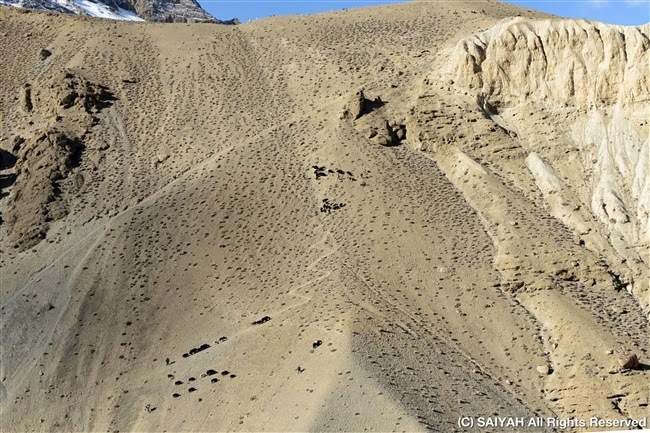 Gar-e-sar, last descending point before Shimshal Village. Here, we have nice view of Yazgar Glacier and lakes, Yazgar Sar. 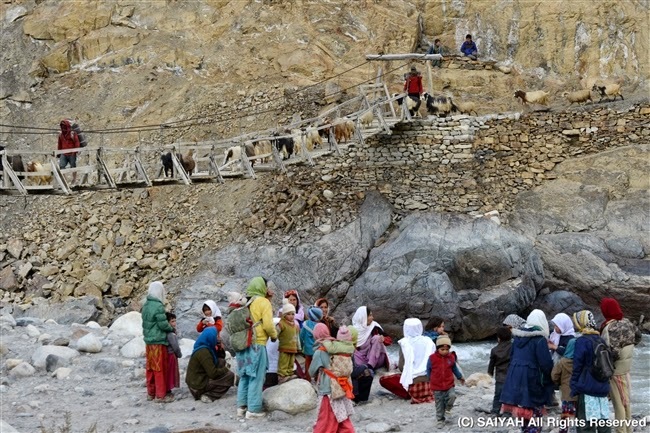 At the bridge, villagers were waiting arrival of their family! 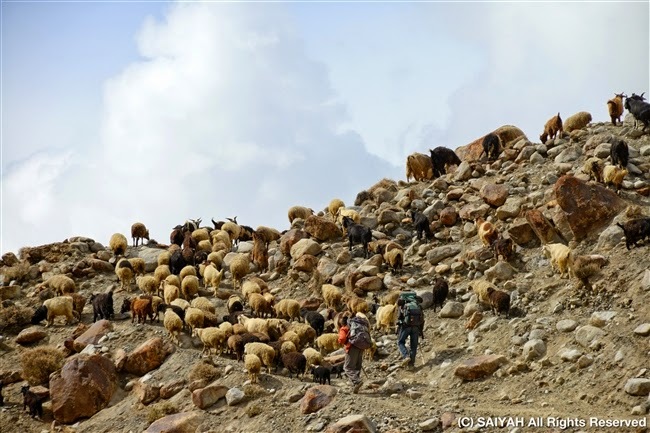 After arrival to village, Yak, Sheep and goats were checked and taken to each house .... the end of Kuchi. 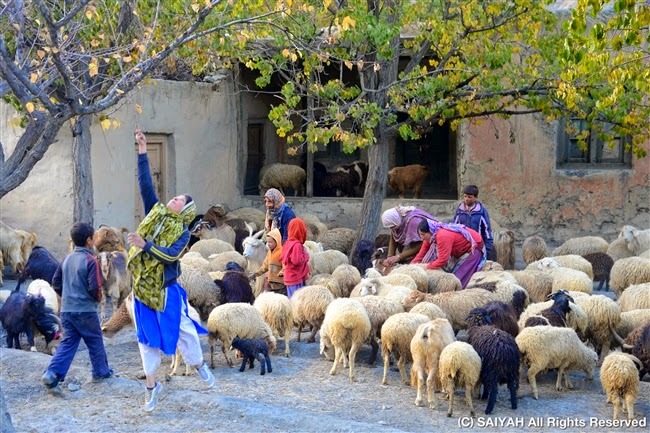 Mountain chef from Saiyah Travel & Touism, Sheer Ullah Wajid - a night at Shimshal Village .... He performed Nagari dance and entertained Japanese tourist as well as Shimshalis! A night in Shimshal local house.